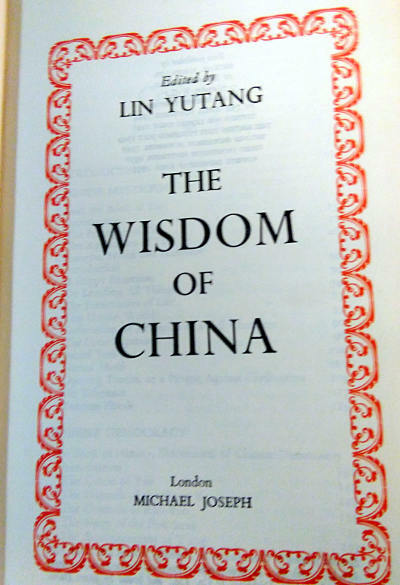 Title: The Wisdom of China Author: Lin Yutang (ed.) Publisher: Michael Joseph, 1954. Condition: Hardcover, with dust jacket. Good. Some rubbing and small closed tears to dust jacket, some tanning to pages. Thin paper edition. 515pp., app 9″ by 6″. 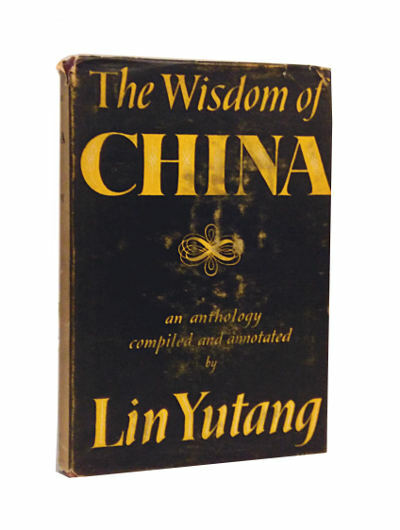 Lin Yutang (October 10, 1895 – March 26, 1976) was a renowned Hokkien Chinese writer, translator, linguist, philosopher and inventor. His informal but polished style in both Chinese and English made him one of the most influential writers of his generation, and his compilations and translations of classic Chinese texts into English were bestsellers in the West.